When you try to manually flash the stock firmware on your Samsung device, you would have definitely come across the words ‘PIT files’. It is impossible to find an online forum or discussion (regarding Samsung Firmware) where the users/members don’t ask questions about these PIT files. There are questions like – What is a PIT file? What does it do? Sometimes, for the same phone, there are multiple PIT files and that really confuses the user. 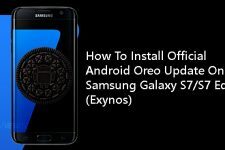 Well, in this article, we aim to bust the myths and present the facts about the Samsung PIT files in the simplest way possible. Before heading to know what is a PIT file, let us bust some long-standing myths about the PIT files. A lot of times we have come across users who are trying to flash their device for the first time and are trying to get hold of the whole ‘PIT file’ concept. As we told already, there are some phone models which have more than one PIT file and naturally first timers will have the question – Which one to use? 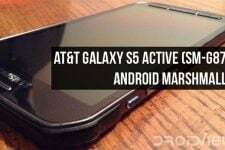 For example, below is a list of PIT files available for a Galaxy device. When the ‘Which PIT file to use?’ question is asked, some users suggest using the ‘512’ PIT file and some would recommend using ‘513’ PIT file and then some would warn to stay away from the ‘803’ PIT files. Do you want to know the reality behind those numbers? Those numbers merely represent the date when a particular PIT file is created. Sounds crazy, right? We have no idea how or on what basis some users recommend a particular PIT file, honestly! That said, you can use any PIT file you want and that would not make any difference in the performance of your device. What is a PIT file? 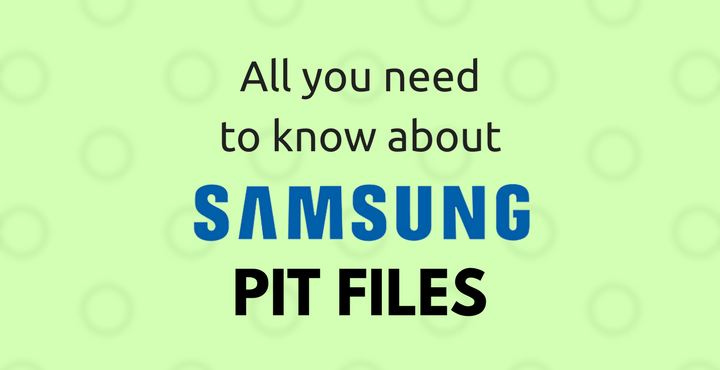 PIT stands for Partition Information Table (PIT) and as the name suggests these are files which contain partition tables for your Samsung Galaxy Android phones. The PIT file contains all the relevant information for each required partition such as Partition Name, Block Size, Block Count, and other technical information. Every device has different PIT file associated with its stock firmware. Hence a correct PIT file is needed in order to properly flash the stock firmware on your device. Also, if there are two models of a device, say 32 GB and 64 GB, then both will have a different PIT file and you cannot use the PIT of the former with the later or vice-versa. What does the PIT file do? Changing a pit file is only a ROM space trade operation between ‘/system’ partition and ‘/dbdata’ partition, no more or less than that. So, if there are three PIT files present, you can go ahead and use any of the three. The amount of memory allocated to the partitions mentioned above is the only difference. For example, one PIT file will allocate 100 MB to ‘/system’ partition and 90 MB to ‘/dbdata’ partition. The other will allocate 95 MB to ‘/system’ partition and 95 MB to ‘/dbdata’ partition. Any pit file will not change the performance of the device for better or worse. While ‘/dbdata’ partition is not used for more than keeping settings and browsing cache, ‘/system’ partition is a read-only partition on all pit files. Hence, the small space tradeoff between the two will virtually have no effect on the performance. No one has any idea why there is a space tradeoff between ‘/dbdata’ partition and ‘/system’ partition between different PIT files. The wild guess would be to assume they contain partition fixes that we don’t know about. Hope this clears your doubts about the Samsung PIT files. The next time you want to manually flash your Galaxy, simply go far the latest PIT file, as simple as that. When I download the repair firmware (4 pieces of ROM called repair software) for any device from the internet, the pit file is also available, but when I download the 4 pieces of pit file with SamFirm program, the pit file does not come out. When I extract the csc.tar.md5 file in the downloaded rom, I have the pit file in it. Is that the pit file I would choose in the Re-Partition section in the PIT file? In other words, do they retrieve the pit files in the repair firmware that are installed in the internete by extracting the file csc.tar.md5 like me ? İnternetten herhangi bir cihaz için repair firmware (onarım yazılımı denilen 4 parça rom) indirdiğimde içinde pıt dosyası da mevcut oluyor ama SamFirm programıyla 4 parça rom indirdiğimde romun içinden pıt dosyası çıkmıyor. İndirdiğim romun içindeki csc.tar.md5 dosyasını ayıklayınca içinde pıt dosyası var. o pıt dosyası odinde Re-Partition bölümüne seçeceğim pıt dosyası mıdır bunu öğrenebilrmiyim ?